BSRIA has released a considerably updated version of its go-to design framework guide for building services – BG 6 – A Design Framework for Building Services (5th edition) – holding an industry launch event in London in June. 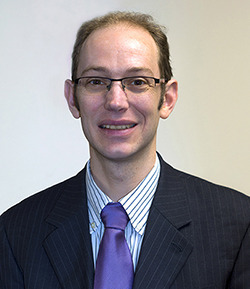 David Bleicher, publications manager at BSRIA. BG 6 contains design activity pro formas and drawing/model definitions used to support contract documentation and encourage efficient collaborative working between building services and other designers such as architects and structural engineers, and also along building services supply chains. The design of a new building is a fundamental part of the procurement process – it takes the client’s requirements and converts them into a tangible representation which informs all later activities on the way to making a client’s wishes a reality. There are a myriad of activities required to produce the necessary level of detail and information, as well as the output documents. The role of BG 6 is to provide a platform where these activities can be identified and allow them to be allocated to individual organisations or roles within the project team. BG 6 was first published in 1994 to facilitate and accelerate clarity over the roles and duties of those involved in the design phases of construction projects. Since then, it has been revised and updated to reflect the changing nature of the UK construction industry practices and the implications these have had on the allocation of design responsibilities. David Bleicher, publications manager, BSRIA, said: “In recent years – changes in technology have brought with them new issues concerning the level of information provided as outputs from design activities. They have also highlighted the need for clarity around existing topics such as the resolution of clashes throughout the design stages and defining coordination roles and responsibilities. These are addressed in the new edition! It is crucial that each party understands its responsibilities in terms of design activities, responsibilities and deliverables. Using the guide also ensures that all necessary activities are identified and allocated and that there are no gaps between, or duplication of, responsibilities. BG 6 provides a series of task lists, model descriptions and sample drawings to let the user decide what activities are carried out by which project team member and when, and to what level of detail. A new layout with clear colour coding for easier navigation. Completely revised stage-by-stage tasks descriptions as pro formas. BSRIA will be staging BG 6 training courses in November in both Bracknell and Preston. A webinar will also be streamed. BG 6/2018 can be purchased in PDF and hard copy from www.bsria.co.uk. BSRIA members can download the PDF for free. A fully editable licensed version is also available. For further information – or to provide feedback – contact Mr Bleicher at david.bleicher@bsria.co.uk or on 01344 465 589.